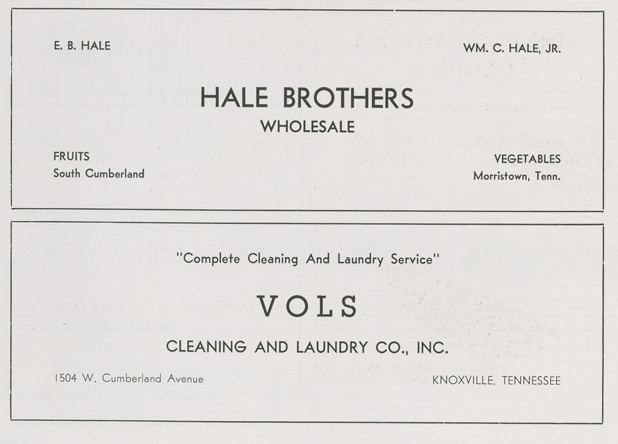 One of the things I've learned from my Dad is that digging through old newspapers and phone books for ads is a good way to find out what business was previously in an old building. 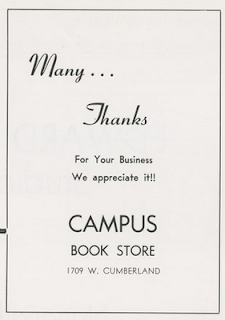 As it turns out, yearbooks are great too. 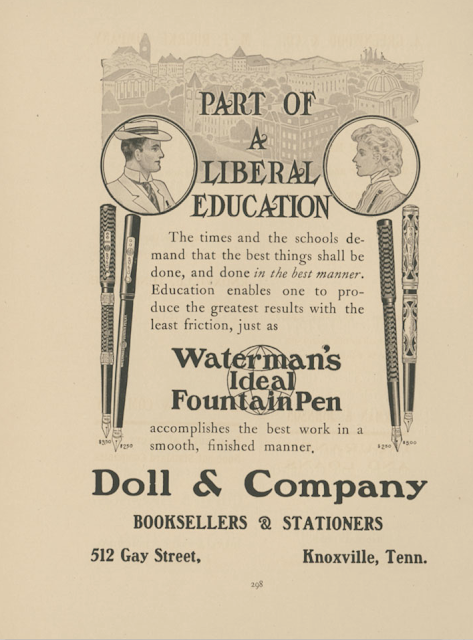 Tennessee's yearbook, The Volunteer, was first published in 1897. 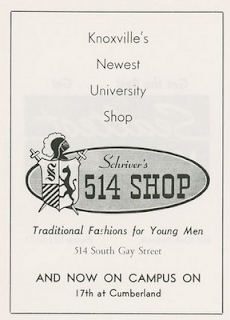 While it has little in the way of candid photographs that tell about student life, there are ads in the back. Most of the ads were for businesses on Gay Street, which was the main commercial area in Downtown Knoxville. 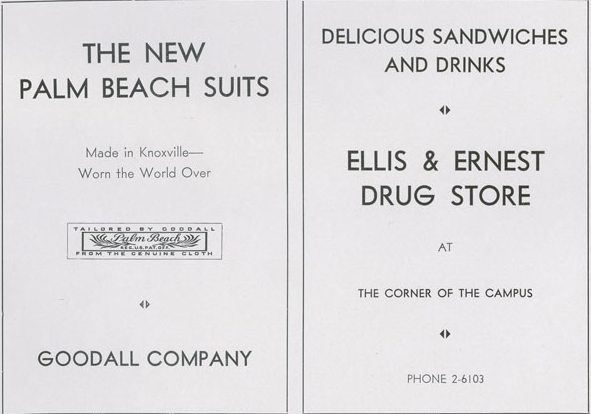 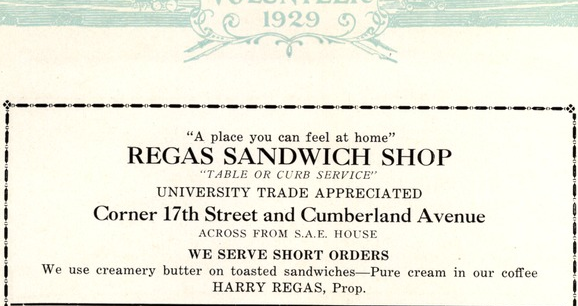 The student life sections showing street shots and students out in Knoxville didn't really start to appear in The Volunteer until the late 50s, but I did find some great early ads this weekend that tell what used to be on Cumberland Avenue. 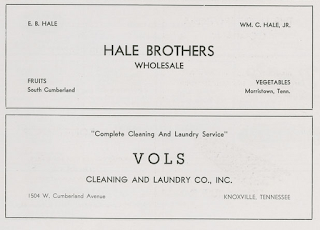 Ads were phased out of The Volunteer sometime in the mid 1960s. 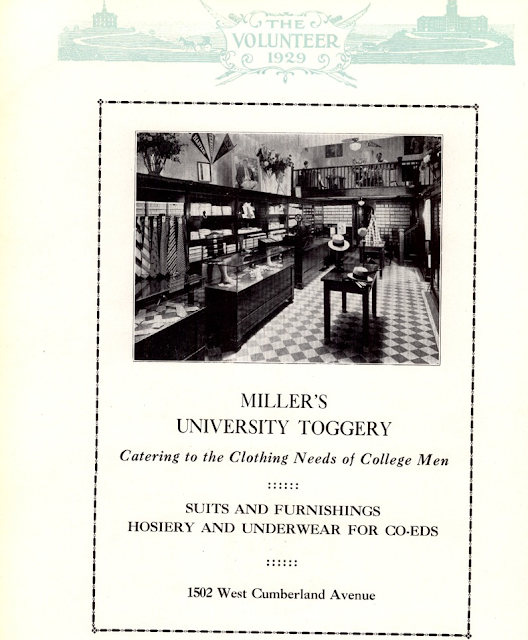 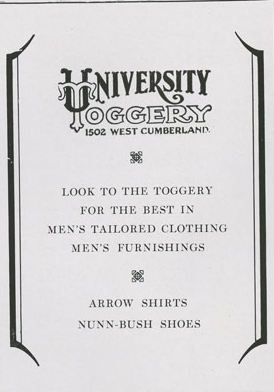 The first few ads are from the 1929 yearbook. 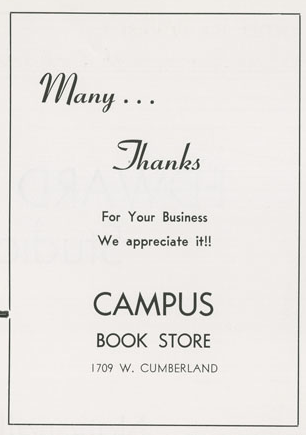 Before UT became such a large university, it shared a yearbook with the UT Medical College in Memphis. 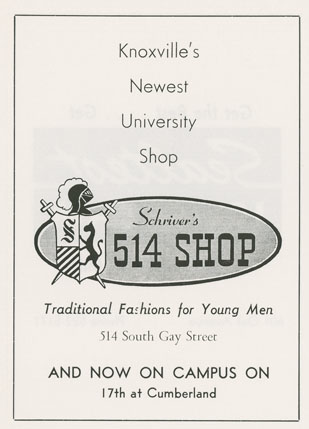 Therefore, some of the ads are for Memphis businesses, some are for the more popular stores on Gay Street, but a few were for buildings on The Strip. 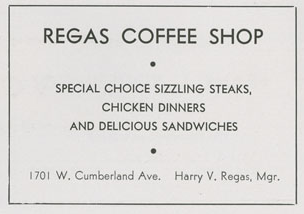 Hope you enjoyed this smattering of what used to be on The Strip!